There are some pieces of advice below about the most suitable ways when renting a vessel on your own and go sailing alone for the first time as a skipper with family and friends. It is without a doubt the most important to have theoretical knowledge and a suitable licence for renting a vessel. If this is not the case, you will not be able to rent any vessel. If you do not posses any practical experiences, it is required that you join a sailing team a couple of times before (friends, colleagues, regattas) as an assistant or member. This way you already gain certain experiences. If you do not have this opportunity, there are organized practical trainings, where you can get suitable skills to manoeuvre a vessel on your own. One of the most basic tips for beginners is to choose suitable weather conditions and destination. Choose a destination and time where the sea is peaceful and only a light breeze is blowing; and there is little sea traffic. Always check a weather forecast. Do not sail from a marina if the weather forecast is bad. It is better to stay in a marina and do something else on board. Do not ignore basic theoretic knowledge. Before you sail away on your fist sea voyage, repeat your theoretical knowledge. There are certain rules and pieces of advice for safe sailing. Respect them as your basic guidance. 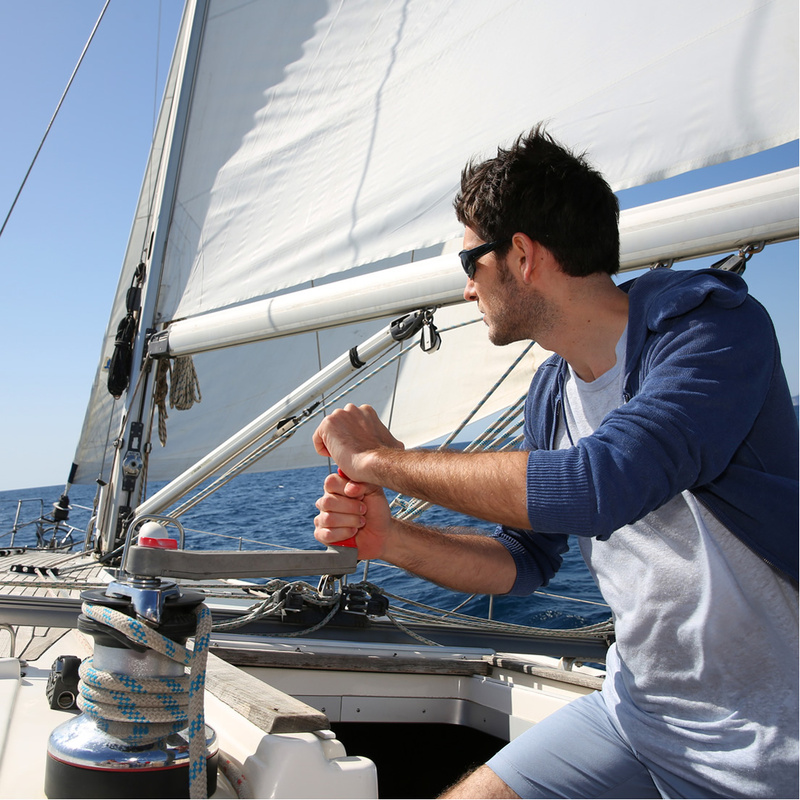 When you sail for the first time, choose a smaller vessel or sailboat. A smaller vessel is perfect for manoeuvring experiments. This way it would be easier for you to get some practical experience. Take a sailboat with only two sails, one main sail and one genoa (front sail). It is more than enough for your first time sailing. This will make basic learning easier and less complicated. Get acquainted with sail control. The best sailors are the ones who manage to set the sails to use the maximum wind and sea effect. When you are already at sea, use your time at sea wisely. You can train how to set the sails, how to anchor, dock, sail away, how to be a lifeguard at sea, etc. If you invite your friends or family that do not have experience with sailing, acquaint them with the rules on board. It happens quite often that because people were not acquainted with the rules, they get unnecessary head and other injuries on board. Practice makes perfect. Do not try to learn the basics of sailing by yourself. Invest in training and learn from experienced friends or other people.